The 4th of July is a day for fireworks, and this year, Rolling Roadshow will provide. In what is sure to be the most explosive cinema event of the year, Stunt Ranch Cinema will present the one and only Independence Day, outdoors, with live pyrotechnic accompaniment. That's right: any time there's an explosion on screen, the good (if somewhat unhinged) folks at Stunt Ranch will set off real fireballs - and as anyone who's seen Roland Emmerich's seminal ‘90s classic can tell you, that's gonna take a lot of explosives. Thrill as we skirt the edges of safety laws to the tune of New York's destruction. Bask in the heat of cleansing fire as the White House is annihilated onscreen. And at this show only, cheer along to a one-off grand finale fireworks display at the film's conclusion, courtesy of the creative pyromaniacs at Stunt Ranch. Show up early, as any self-respecting fighter pilot would, and enjoy an evening of food, drinks, stunts, and activities from 6:30 PM. Imagine you’re fleeing an exploding building as you jump from a high-fall platform. Pretend you’re Roland Emmerich himself as you zipline across a fire lake. Welcome imaginary aliens to Earth by throwing hatchets. And more. This is the 4th of July, after all. Then, as dusk settles, sit back in the screening area (bring your own chair, if you’re so reclined) to enjoy the biggest movie of 1996 in the most spectacular way possible. 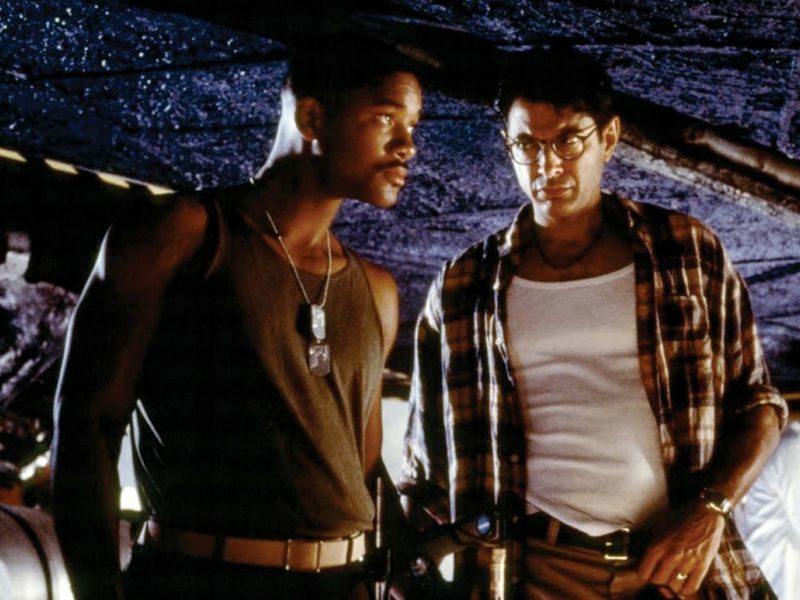 Thrill to the unexpected action-movie team-up of Will Smith and Jeff Goldblum, feel your national and planetary pride swell with Bill Pullman’s greatest monologue ever, and whoop and holler as Stunt Ranch’s technicians blow the hell out of some explosives.